A subtle new spin on a classic. 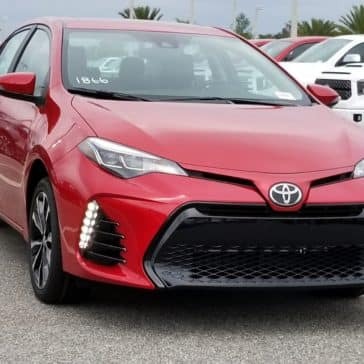 The 2019 Toyota Corolla is here. While the changes may be small, for this new model year, they’re just right. 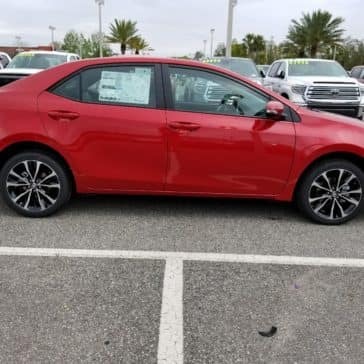 Parked on our lot at Toyota of Orlando is the 2019 Toyota Corolla and it has all the old favorites with a splash of new features. 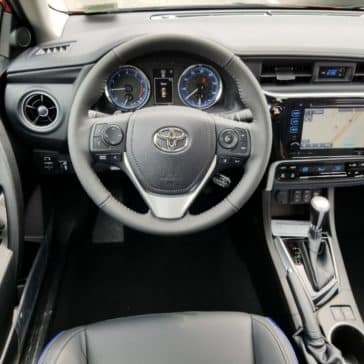 We’ve got the details you’ll want to know before getting in the driver’s seat of this new Orlando Toyota. 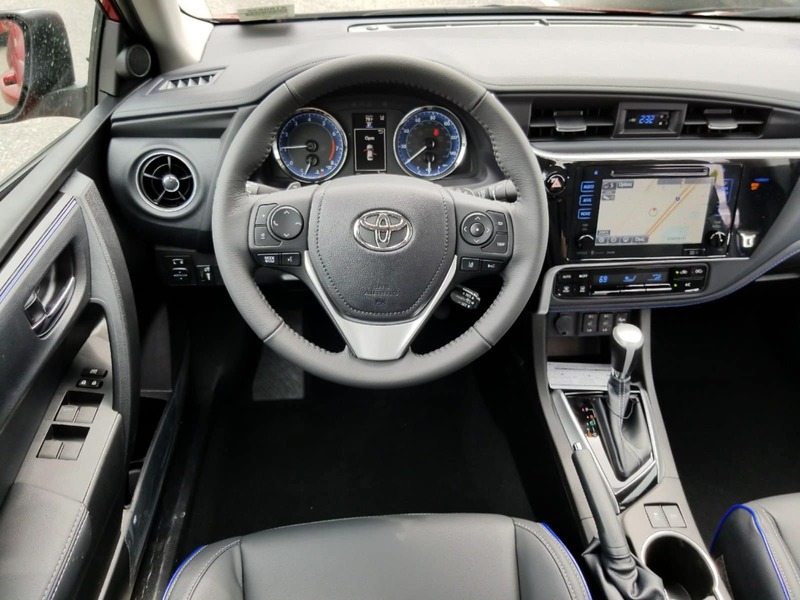 New Toyota Entune Audio Plus technology for added convenience during your commute. 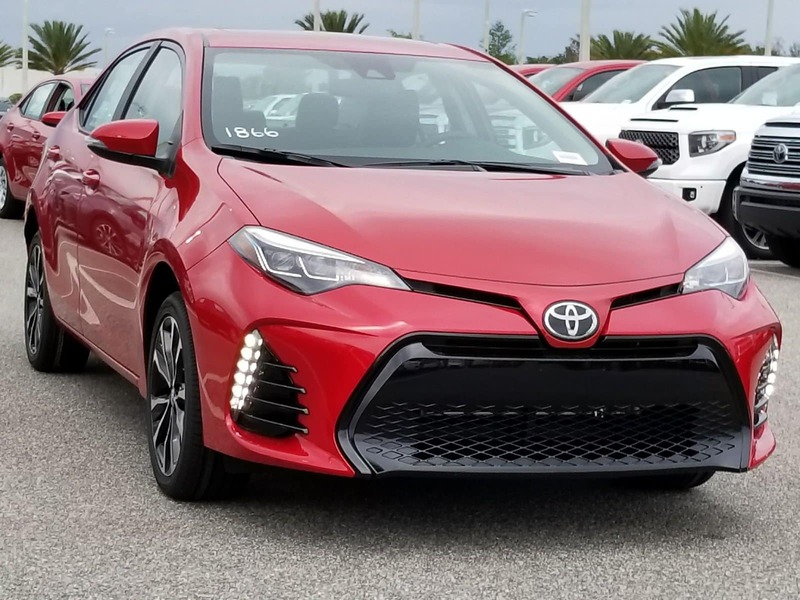 An all new aggressive grille available with the SE and XSE trim levels. Updated safety features and upgraded fuel efficiency. 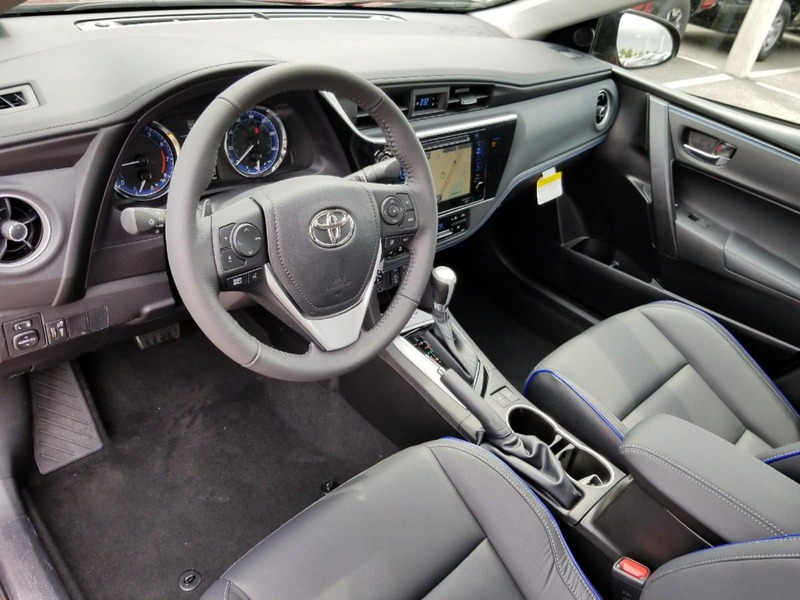 Manual and automatic Continuously Variable Transmission (CVT) with intelligence options. 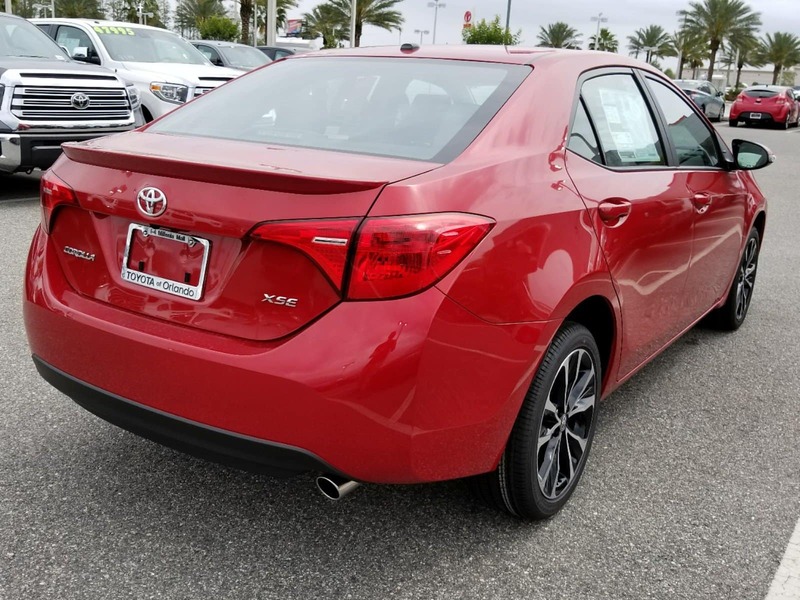 An EPA estimated 28 city and 36 highway mpg allows for great fuel efficiency while preserving sporty looks. Independent Macpherson Strut suspension with a rear stabilizer bar for a well-balanced ride. ECO, Normal, and Sport driving modes. Power-assisted front and rear disk brakes with rear drum brakes option. 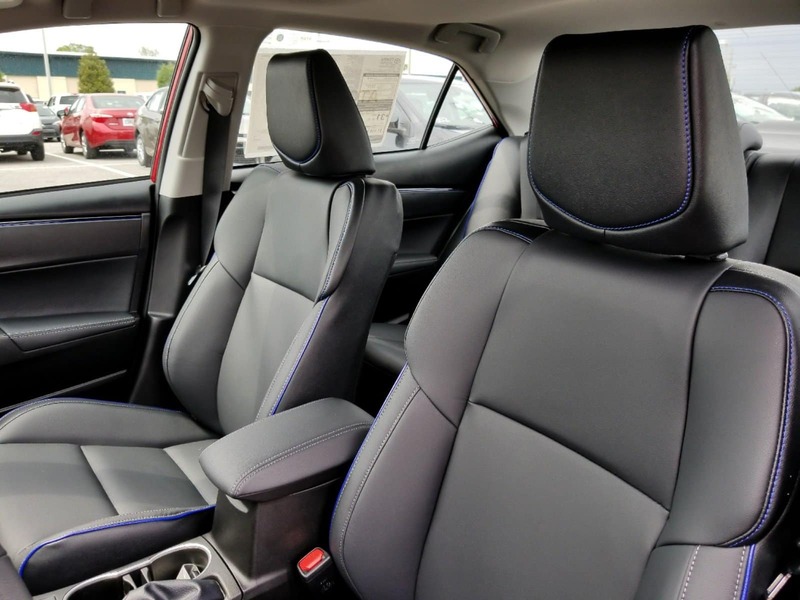 Fabric, Premium fabric, and SofTex-trimmed front driver’s seats with available heated driver and passenger seats. 15-inch, 16-inch, and 17-inch machined alloy wheel options. Optional rear spoiler and new front grille design available on the SE and XSE models for a sportier aesthetic. Multi-LED and LED headlights with integrated LED Daytime Running Lights. Rear combination taillights with LED backup lights. Available Sport instrumentation cluster with chrome-plated speedometer and tachometer. The all new Entune Audio Plus infotainment system. 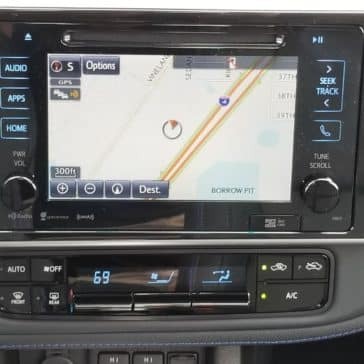 Hands-free phone capability, Bluetooth wireless technology, Scout GPS Link, Siri Eyes-Free, and SiriusXM Satellite Radio. 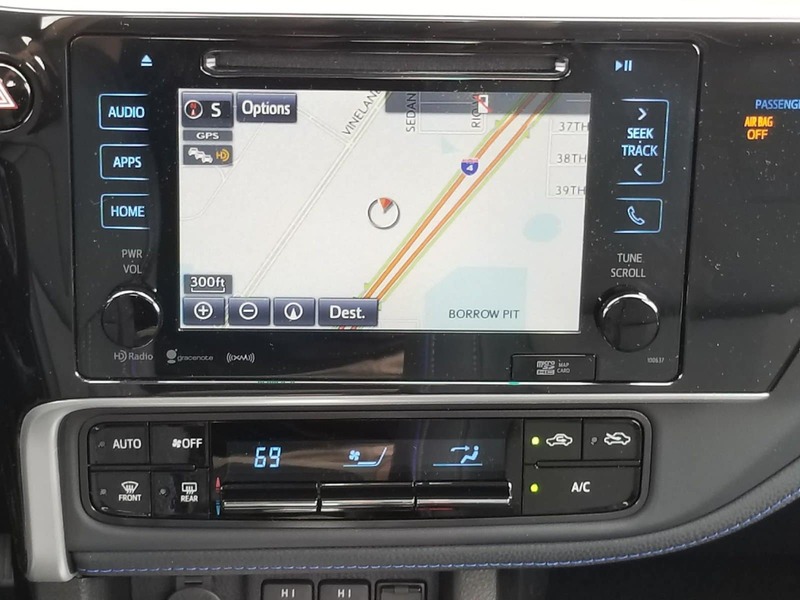 Multi-information for quick and easy access to information on your fuel efficiency, current song, ECO indicator, and warning messages. Available Smart Key System for keyless entry and push-to-start ignition. Automatic climate control air conditioning. 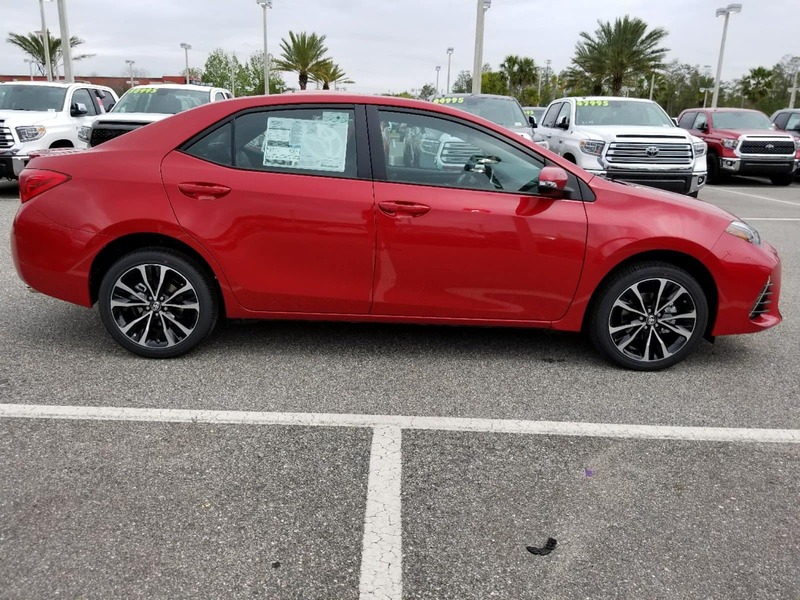 Toyota Safety Sense P is included on all Orlando Toyota models and has safety measures like Pre-Collision System with Pedestrian Detection, Lane Departure with Steering Assist, Automatic High Beams, and Dynamic Radar Cruise Control. 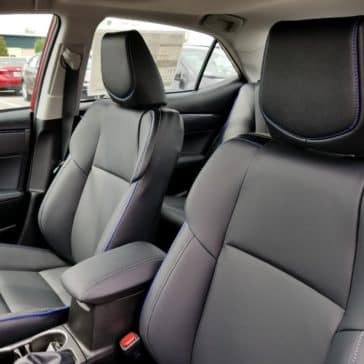 Eight airbags placed throughout the car’s interior. LATCH (Lower Anchors and Tethers for Children) for better child car seat security. 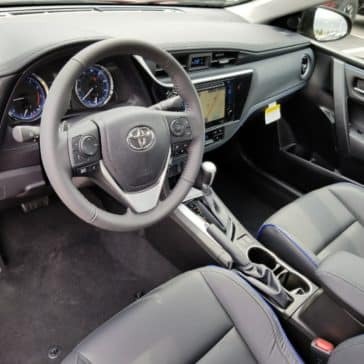 Star Safety System with Enhanced Vehicle Stability Control, Traction Control, Anti-lock Brake System, Electronic Brake-force Distribution, Brake Assist, and Smart Stop Technology. 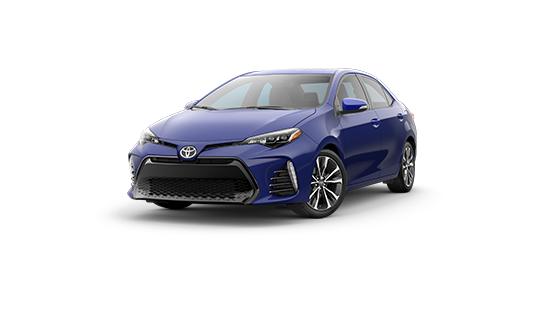 Are you ready to take a test drive with the 2019 Toyota Corolla? 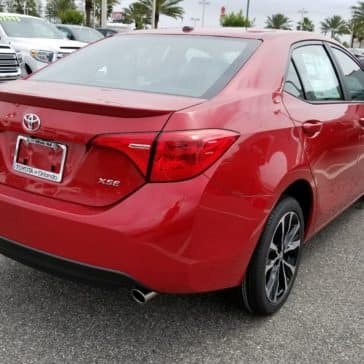 Come visit Toyota of Orlando and check out all the amazing new features this compact sedan has to offer. We’re located at 3575 Vineland Road, just off I-4 near the Millenia Mall and open 7 days a week! 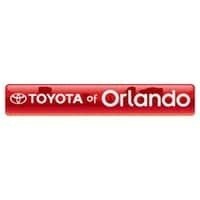 Call (407) 298 – 4500 to schedule an appointment, ask questions, and learn about our new Orlando Toyota specials!